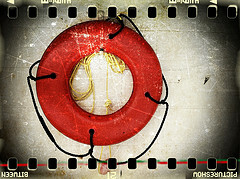 Home › Christian Living › Someone’s Drowning!! A small cruise ship was traveling through the balmy Caribbean waters when a young man fell overboard. As he thrashed about in the water, the people on board gathered along the guardrail to consider what to do. Some of the people said, “I really didn’t know him that well so I don’t know what good I would be able to do. He may not appreciate our efforts if we try to swim out to save him.” They went back to their comfortable chairs away from the crowd. Many of the people looked at the boy fighting to keep his head above the waves and said, “He’s not really in trouble at all. He is still close to the boat and if he really wants to come back, he’ll find a way. Besides, he may start swimming in the same direction we are traveling and get to port safely.” Then they went about their business. Some of the people quickly sat down at a table and talked about the situation. They discussed how he might have fallen overboard and suggested that someone ought to do something about the drowning boy. They agreed that someone ought to give some speeches: one on the dangers facing the person who falls overboard, another on better ways to inform people on what to do when one falls overboard, and a speech on how to rescue someone who is falls in the ocean. They continued talking about this for a while and decided to meet again later and discuss this important issue again. Even the parents and other family members who were on the ship, and expert swimmers themselves, were concerned about their loved one and wondered who would jump in and save him. They kept yelling to the others and pointing out the young man who commiserated with them, but did not throw out a lifeline. As the people on board pointed, talked, or went about their business, the young man’s efforts to stay afloat became weaker and weaker. Finally, the man’s head dropped lifelessly back and sank into the surf. Immediately, several jumped from the ship and brought the man’s dead body to the deck. They tried to revive him but it was too late. Those on the ship—parents, friends, other passengers—began to blame one another for the man’s death. Yet they were all responsible for his death for none would be responsible for trying to save him. As the passengers sorrowed over the young man, a young woman fell overboard. Those on the deck immediately sprang into action. They gathered at the table to discuss this problem of people falling overboard and determined that the speaker must make haste to deliver his presentations on “The Dangers of Falling Overboard” and “How to Rescue the Drowning.” The other passengers went about their business or stood along the rail watching the young woman fight for her life alone in the dangerous swells. Jude 20-23: But you, beloved, building yourselves up on your most holy faith, praying in the Holy Spirit, keep yourselves in the love of God, looking for the mercy of our Lord Jesus Christ unto eternal life. And on some have compassion, making a distinction; but others save with fear, pulling them out of the fire, hating even the garment defiled by the flesh. James 5:19-20: Brethren, if anyone among you wanders from the truth, and someone turns him back, let him know that he who turns a sinner from the error of his way will save a soul from death and cover a multitude of sins.